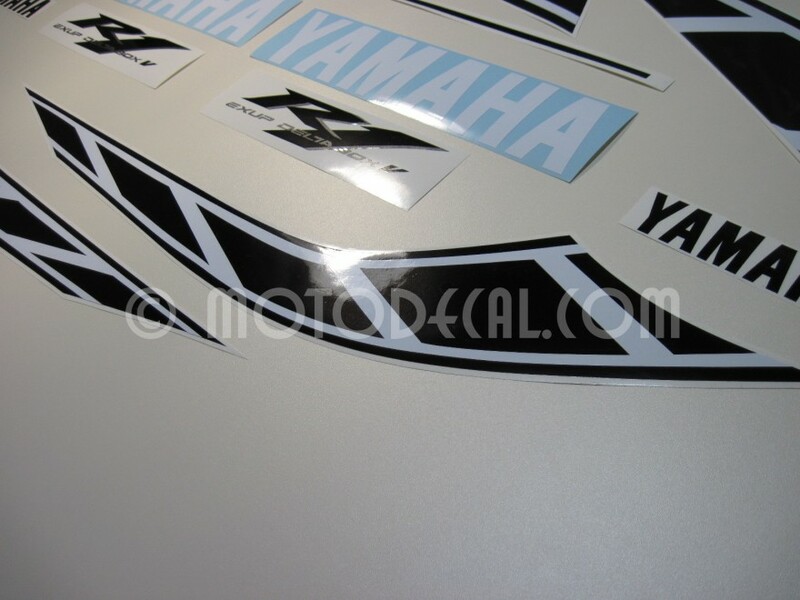 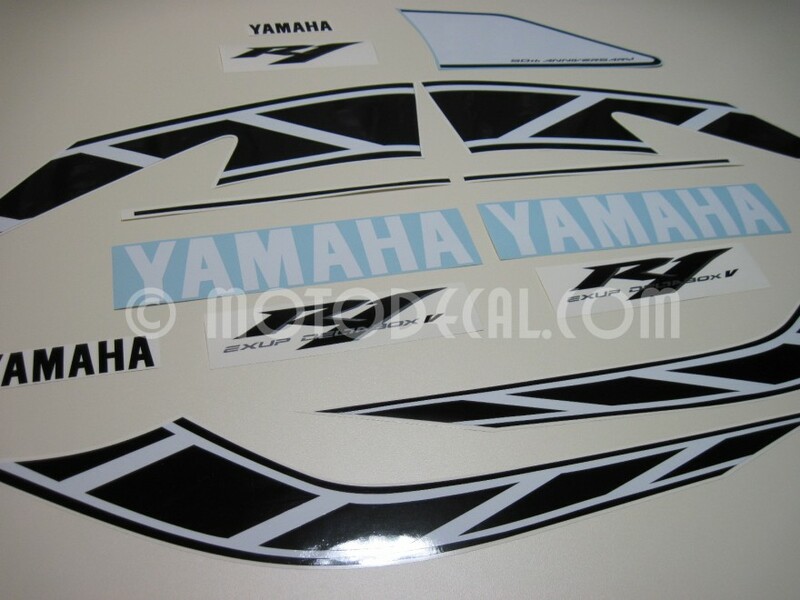 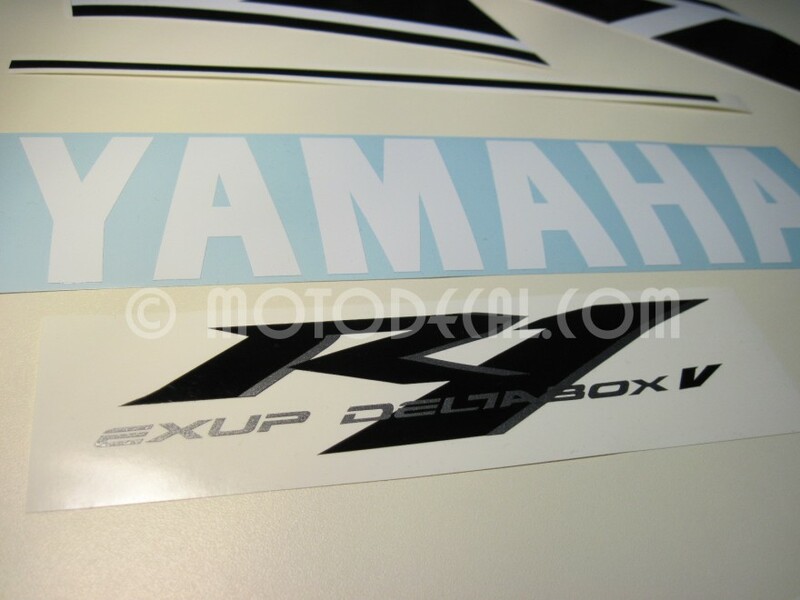 The Yamaha YZF-R1 AFTERMARKET decal kit will fit on Yellow 50-th Anniversary version year 2006. 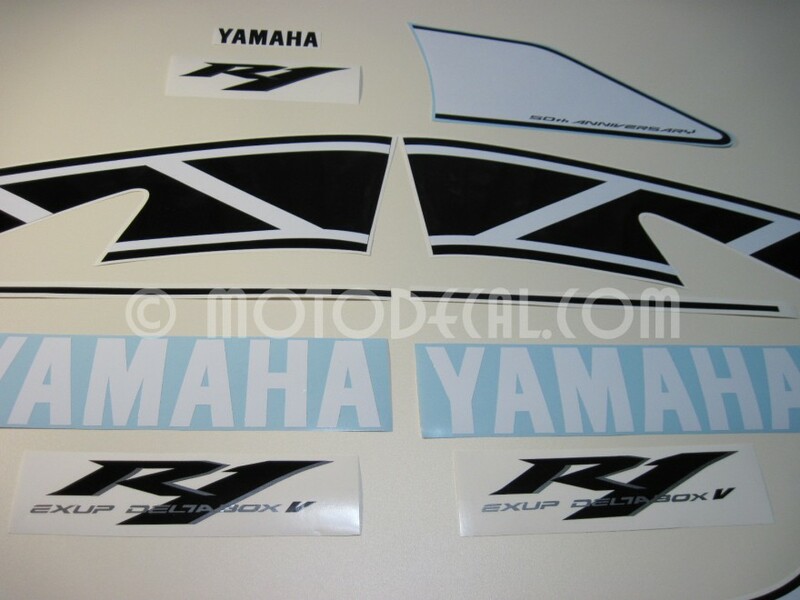 This is a full kit and includes all the decals you need to create the perfect look for your motorcycle. 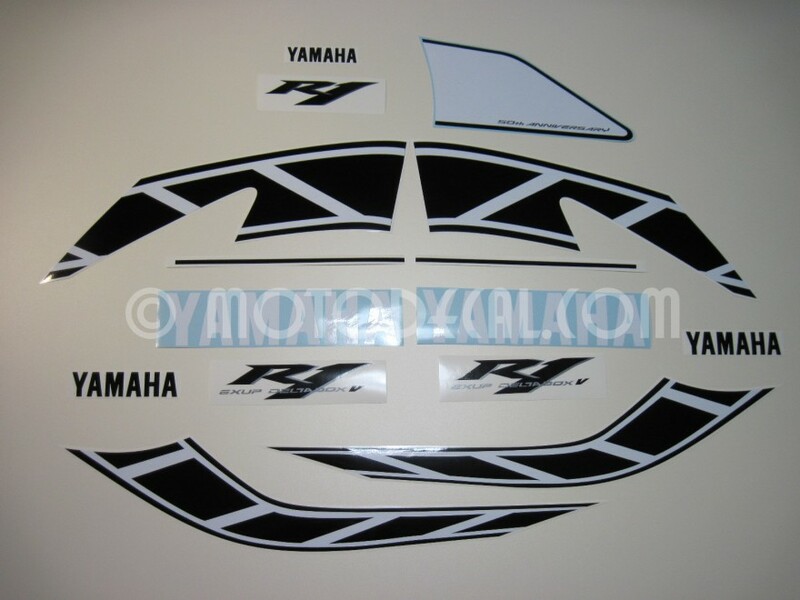 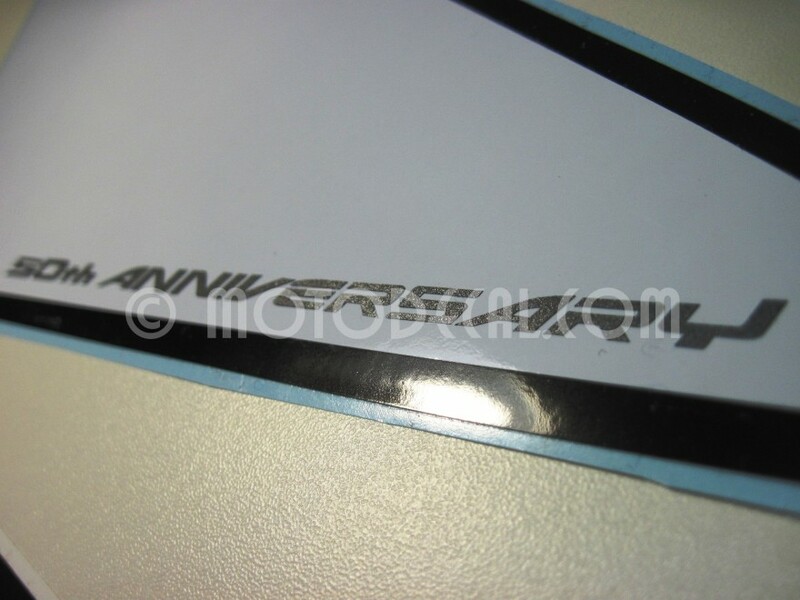 Contact us if you want to customise this motorcycle decal kit with different colors or decals.